VIEWS! VIEWS! VIEWS! The views from this home meet you at the front door and don't stop! 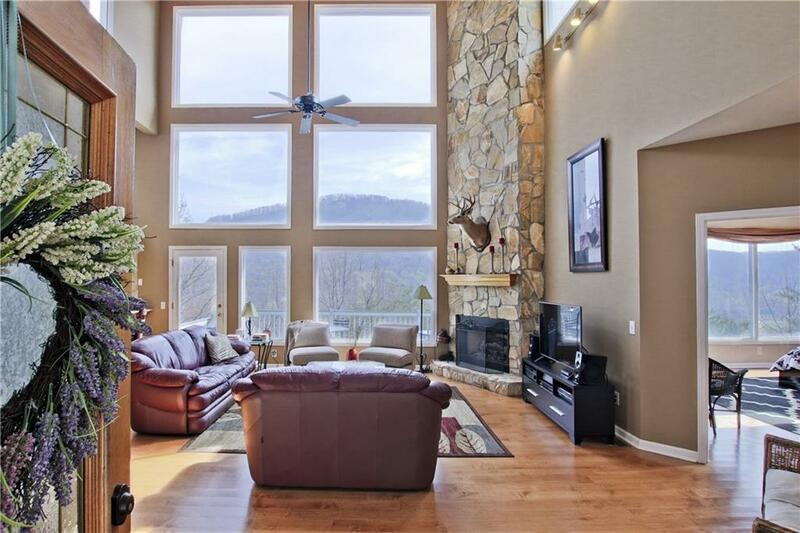 The two-story Great Room has both a wall of windows and a floor to ceiling fireplace that are just stunning. The sunlight flows into the kitchen which has beautiful granite counter tops, a huge island & a breakfast bar. The Master Bedroom is so romantic with its own fireplace, stunning views and a shower for two! There is a guest suite on the main floor along with another bedroom and full bath. The unfinished basement offers room for expansion & wait to you see the storage room!